Late night art: Frozen – Go ask Alisa – DIY capsule wardrobe one stitch at a time! It has always frustrated me how people are, including myself! When it’s warm we are dreaming of snow white winter, when we have a tray of candies we reach for salty pickle. Isn’t odd how unsettled we are in our wishes and cravings? Inspired by the same aqua blue color, result of my late night art: Frozen. 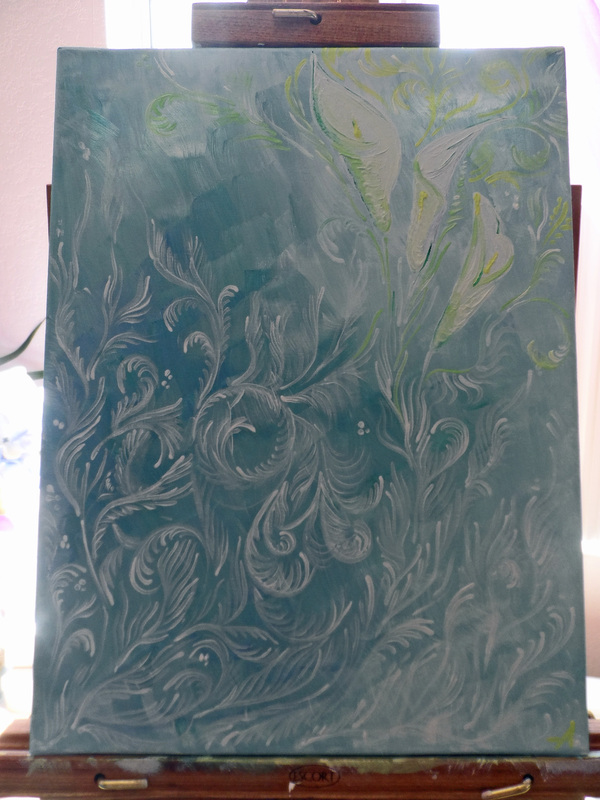 The main idea of this piece is to see how gentle lilies are breaking through the frozen frost flowers, towards the sun and green, tension between winter and spring. I hope you enjoy the idea, colors and composition! Thank you for stopping by! Previous Previous post: Let’s go COLORBLOCK. Edition Nr2; sewing and creating.